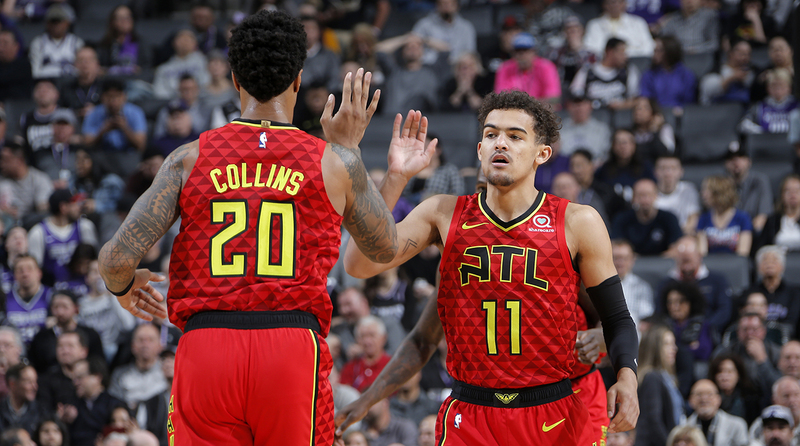 The Hawks have built an entertaining culture around first-year head coach Lloyd Pierce and rookie Trae Young. With Atlanta on the rise, Adam Silver and the NBA league office should be rooting for the city to land potential No. 1 pick and Duke superstar Zion Williamson. If the NBA's lottery reforms are going to work, it will be a few years before anything actually changes. As of March 2019, the Knicks have lost 26 of their last 30 games, we just watched the Suns go on a 17-game losing streak in January and February, and the Bulls were down 36 points in the first half this past weekend. This makes sense. Even with flattened lottery odds that everyone can understand in the abstract, it will take a while before the NBA sees lottery variance that meaningfully alters the way teams behave during the regular season. Tanking still looks like a smart long-term play for various teams around the league, and just as important, stripping down rosters and plunging toward 60 losses is still a strategy that teams can sell to fans who believe that losing and looking for a lottery pick is the best way forward. Will that still be true after three or four years of results with a lottery system that leaves the worst team in the NBA with a 50-50 shot at a pick in the top four? We'll have to wait and see. 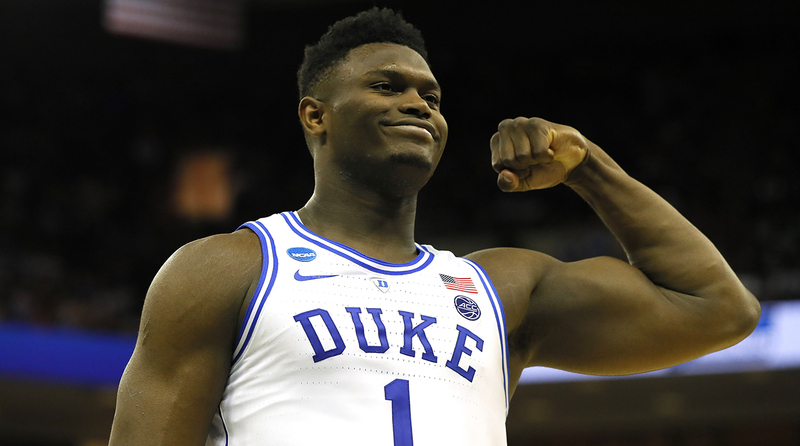 In the meantime, we can at least be clear about this much: Adam Silver and the NBA league office should be rooting for the Atlanta Hawks to land Zion Williamson. Granted, the Hawks are the Zion destination that should have the highest approval rating across the board. Zion in Atlanta would mean a decade of alley-oops from Trae Young, and it might mean monthly Fox Sports segments with Dominique Wilkins in which they watch film and discuss various dunks that made opposing players consider retirement. Meanwhile, Zion's passing would be a deadly secondary weapon in pick-and-rolls with Young, John Collins would be a floor-spacing 20-and-10 third option who would also be dunking dudes into oblivion, and Kevin "Red Velvet" Huerter would be floating around the perimeter and hitting open threes. I don't know if that team could ever guard anyone, but if they are scoring 135 points-per-game on dunks and 30-foot threes and Trae Young floaters, I don't know if it would matter. But the NBA should really be rooting for Zion in Atlanta. Last year's lottery changes were conceived for a number of reasons, including a) trying to placate tanking critics who probably never liked the NBA in the first place and b) allay fears of a future full of Process imitators. Also, with legalized gambling on the horizon, lottery reform helped demonstrate that the NBA cares about the competitive integrity of its games. And underpinning each of those motives was the league’s recognition that it probably wasn't healthy to have a draft system that tacitly incentivizes mediocre teams to lose as many games possible. Under the past system, you could make a convincing argument that bad teams winning games past January 1st was counter-productive. 2014 was one particularly cruel example. With the Orlando Magic out of the playoff hunt at 10-30, the Magic went 9-13 between mid-January and the first week of March. The Sixers, by contrast, went 2-17 over that same span. By the end of the year Philly had the second-best lottery odds in the league. Orlando was third. Philly would land the number three pick and draft Joel Embiid. The Magic landed fourth and took Aaron Gordon. There is plenty of random chance involved in all of this—with both the lottery and the draft itself—but marginal advantages can make a big difference. So while it was certainly possible that mid-year progress during a losing season could have paid dividends for Orlando's young players down the line, Philly's approach always seemed objectively smarter. Lottery reform, in theory, should help solve that problem. "I think that this [tanking] issue may be solved, to a certain extent, in the marketplace of ideas," Adam Silver said at All-Star Weekend, "depending on how this now goes over the next year or two and what the results are of some of these long-term rebuilding programs." That 2014 Magic team would have the exact same odds as the 2014 Sixers under this year’s system. And the league’s broader hope is that when the most aggressive tanking teams fail to capitalize on their efforts, while other, less-tanky organizations succeed, behavior could change. "I'm certainly not here to say we solved the problem," Silver added in February. "I will say, though, we have many more competitive teams this year than we've had in the recent past. I think we've made progress, and we've seen this in other sports as well. There's a mindset that, if you're going to be bad, you might as well be really bad. I believe, personally, that's corrosive for those organizations, putting aside my personal view of what impact it has on the league overall." What Silver was really saying at All-Star Weekend is that he wants teams like the Hawks to win the lottery. Consider Atlanta's profile this year: first-year coach Lloyd Pierce has helped cultivate a healthy environment for development, players have made progress month after month, and the team has eschewed any kind of full-scale teardown that would have meant selling off credible contributors like Dewayne Dedmon, Kent Bazemore, Vince Carter, and third-year Taurean Prince. Instead the Hawks have sprinkled those veterans alongside a bunch of young players and tried to win every night. It’s been pretty great. As the season winds down, Atlanta’s games are reliably fun to watch, Huerter, Young, and Collins are winning hearts and minds on NBA twitter, and they are pushing playoff teams on a regular basis. The Hawks are exactly the kind of team that the new lottery rules were designed to embolden. It helps, of course, that Atlanta's young players are actually good. Not all teams have Trae Young and John Collins. And, in fairness, the Hawks are still pretty bad. They have the fifth-worst record in the NBA, and while they’ve had a number of encouraging wins over the past few months, all those games tend to be bookended by losses. But what’s most telling is that they as continue to steal games and improve down the stretch—they beat the Jazz and the Sixers in the past week—the wins don't look as counter-productive as they might have in years past. Nobody is getting on Twitter and hand-wringing about ping pong balls in Atlanta. Where the fifth-worst team once had a 10% chance at the number one pick compared to the 25% chance of the worst team, this year's Hawks will have a 10.5% chance, while the Knicks, Cavs, and Suns will be at 14%. Atlanta will likely still miss out on Zion at number one, but it won’t be because of a few extra wins in February and March. That feels like progress. Skeptics will note that whatever happens to teams like the Hawks, lottery reform may not eliminate the three or four tanking teams the league sees annually—not this year, not in three years, not ever—because certain teams have no viable alternative. Likewise, the new rules have moved the inflection point for would-be tankers down the board, so that teams in the middle of the bottom tier can drastically improve their chances at a top four pick with a few well-timed losses. And finally, there are a number of small market teams for whom the draft is the only realistic path to a transcendent superstar. Reducing the ability of those teams to strategically bottom out and be rewarded with a top pick could relegate certain markets to a kind of decade-long purgatory. The league office would probably counter that the new system incentivizes those teams to focus on cultivating a winning environment because that's always been the more reliable path to success. On one hand, that argument seems like a paternalistic, bootstrappy prescription for bad teams in small markets that are already playing with tangible disadvantages. On the other hand, it's possible to look at the recent history of an organization like the Phoenix Suns and conclude that the league office is onto something. In any case, all those broader draft arguments and existential questions are beside the point for now. Resolutions will take time, and some of these problems may never be solved. What matters at the moment is that we’re in the first year with new lottery rules, two months before the most dramatic lottery in a decade. The top of the board is dominated by New York, Phoenix, Cleveland, Chicago, Atlanta, Dallas, New Orleans, and Washington—and one of those teams is not playing the final months like the others. If Adam Silver is hoping that subsequent lottery results might eventually change regular season behavior, we already know where he wants Zion to go.